9 ways to make yourself at home in your new place! Moving into a new place can be overwhelming: four blank white walls, a bunch of boxes and not much else. While homeowners have the luxury of painting, installing, and constructing whatever they want, renters are a little more restricted. Thankfully, there are still plenty of ways that you can customize your space, adding aesthetic touches and preparing it for living. Check every item off this list, as you turn your new apartment into a cozy home. This may seem obvious, but it’s easier said than done. With our hectic work schedules and busy personal lives, it’s easy to ignore the giant stack of boxes for weeks. Make your apartment feel homier right away by unpacking everything as soon as possible. Get inspired to have an unpacking dance party by putting on your favorite tunes. Music helps reduce stress, so if you’re freaking out about the amount of unpacking you have to do, your favorite playlist will be just what you need. Get all the big things out and set up first, like your lamps, furniture, and anything that needs to be put together. This will help you create a blueprint of your new space, dictating where everything will go and allowing you to make it feel like home right away. Nothing says cozy, comfortable home like a newly made bed—especially if you have new bedding to use. Get your bed set up right away and plop down to relax as you go through your bedroom items. You may have a new shower curtain, but most items in your bathroom are likely brought from the last place you lived. You probably use them every day, as well, bringing a sense of comfort when unpacking them.Get your medicine cabinet set up and decide how you want your new sink and vanity area to look. Little tasks like this make all the difference when you want to feel at home in your new apartment. If you’re feeling claustrophobic in your new, small space, there are a few things you can do to open it up. One easy way to do that is to open the windows, but if you’re in a tiny city apartment, that may not do much to help. However, finding soft incandescent bulbs can be a good alternative to replace natural light and open up your space. If you don’t have access to natural light, use lamps with soft incandescent bulbs to replace the light you’re missing (fluorescent lighting can be harsh and unpleasant), according to experts at Empire Siding and Windows. If you moved from far away, unpack the things that remind you of home right away. Pictures of friends and family, posters you’ve had forever, and that hamper that made it through all four years of college. You’ll love reminiscing as you pull the items out, and will feel better being able to see them as you make your way from room to room. Check all your doors and windows for any potential security issues right when you move in. You’ll feel safer knowing that your window and door locks are safe and secure. If they’re not, call your property manager right away and they can come install a temporary fix or take care of the problem. “Statistics show that more than 30 percent of all apartment burglars gained access through an open door or window,”says David Artman, CEO of The Home Security Super Store. Host a Dinner or Housewarming Party! If you didn’t move far away from home, and still have friends nearby, host a dinner or small housewarming party. You’ll immediately feel at home having all your friends chatting and enjoying themselves in your new space. When all’s said and done, curl up on your couch, put on a movie you love and relax. Nothing will help you feel better than a good movie night and some much-needed shut-eye. What are difference between moving companies and moving brokers? What are differences between movers and brokers? Moving brokers are not professional movers in the sense that brokers are neither authorized nor licensed to transport household goods because they don’t own any moving trucks, moving staff, moving equipment, or packing supplies. In reality, moving brokers act as middle men between the customer (the individual who is moving home,) and moving company (the business entity that will complete the actual transportation job,). Brokers are merely trained sales teams that will arrange for the transportation of your household items and then will try to sell your booking info to an actual moving company that will provide the actual truck transportation. Moving companies are professional movers that do the actual household move. They own their own fleet of branded moving trucks, they have the required moving equipment to complete the relocation job, they provide the necessary packing materials for the service of packing, and they also have full-time professionals who have been trained extensively to handle all types of move-related scenarios. Unlike brokers, reputable moving companies will send an expert to your home to do a visual home inventory and quote you an accurate moving cost estimate. Furthermore, you will be able to discuss with the moving company representative important issues and ask essential questions that are linked directly to the upcoming move – a face-to-face interaction that is much more beneficial than dealing with a moving broker over the phone or via e-mail. At the time of booking your move, you’re strongly advised to ask the company if they are an actual moving company or a moving broker. If it turns out that you’re dealing with a brokering company, then you should know the following risks and dangers when using the services of a moving broker. With a moving broker, no party will want to claim responsibility in case of problems. A moving broker will not usually assume responsibility for the safety of your household items – that responsibility is effectively transferred to the moving company that has received your booked move. In case of problems with the move such as household items being damaged or lost, what happens, at least most of the times, is that the moving broker will blame the moving company, and the moving company will return the favor by laying the blame on the broker. The usual outcome is that the customer, that is you, will be left in the middle of a relocation mess for which nobody wants to take responsibility, while your damaged or missing goods still remain damaged or missing. In contrast, if you utilize a moving company, by law they must carry their own license from the state. In having this license, they have demonstrated that they carry sufficient insurance coverage to perform moves in a fiscally-responsible manner. Large deposits that may not go toward your move. Most moving brokers will ask you for a large deposit prior to the move – a clear indication that you’re not dealing with a top-rated moving company. In comparison, reputable movers will usually ask for a small deposit in order to book the move on the date that you wish to move out. 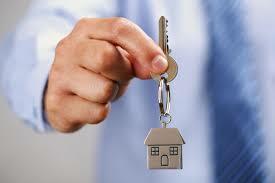 The major issue with paying a large deposit to a broker is that your money will not always go toward the move itself. Sometimes, the sum you pay upfront will be the moving broker’s fee for arranging the household move between you, as a customer, and the moving company as a household goods carrier. No opportunity to research your moving company. Sometimes a moving broker may not be able to sell your moving job to a moving company for a number of good or not-so-good reasons, such as unavailability of movers on the date you requested, moving cost estimates that are too low, etc. In such cases, it’s possible that you are left high and dry on your move-out date, with no moving company coming to the rescue. Ultimately, your chance to find a good moving company by researching various movers will be wasted as the moving broker is the one that will pick the mover for you. It may even happen so that you won’t know which moving company is coming to help you move until Moving day itself. How can you be sure that the movers who arrive at your home are properly licensed and insured? How do you even know if those movers are full-time moving specialists and not temporarily hired laborers who have little or no moving experience whatsoever? Risks and dangers associated with using a moving company. Make sure that you know what type of business you’re dealing with before you give them your moving job. If you’re dealing with a professional moving company, here are some of the risks you might face. More limited range of serviced routes. A professional moving company usually has a more restricted range of routes that it services, which may limit your relocation options. If your move route is a bit off the beaten track or falls into the height of the moving season, then you may find it hard to find a reputable mover to accept your home moving job. Also, if circumstances force you to perform a last minute move, then you may not be able to secure a moving company to handle your emergency move. On the other hand, a moving broker has access to a well-established network of trustworthy movers that should be able to respond to any specific relocation parameters set by the customer. With such a high volume of professional movers to partner with, a good moving broker will usually offer a greater level of flexibility to suit your move-related requirements and expectations. The best full-service moving companies do offer a wide variety of moving services to match the unique preferences of their clients. However, smaller moving companies may not be able to offer you all the services you need, in which case you will lose additional time to look for a different mover that can assist you. For example, if you need to have your car transported quickly and safely to another part of the country, you will need to invest extra time to find and research an auto transportation company for that extra service alone. In comparison, a moving broker will be able, at least in most cases, to connect you with the right type of moving company, including a vehicle shipping company, and that all-in-one convenience of the brokering company will save you loads of time in the end. It’s important to know that reputable moving brokers are legitimate businesses and they also have a list of responsibilities and requirements they must meet in order to operate legally. Moving brokers must be registered with the Federal Motor Carrier Safety Administration (FMCSA) and they are required to use only moving companies that are also registered with the FMCSA. Moving brokers are required to have a written agreement with the moving companies they work with, and to also give you, upon request, a full list of those movers. Brokers must provide you with a copy of the booklet Your rights and Responsibilities When You Move and the brochure Ready to Move, both prepared by the FMCSA. Brokers are required by law to base their estimates, binding or non-binding, on the specific tariff of the moving company that will do the actual transportation of your household goods. Use the search tool of the Federal Motor Carrier Safety Administration to check if the moving company or the moving broker you’re dealing with is registered with the FMCSA. Now that you’re familiar with the difference between a moving company and brokers, you can choose which way is better for you. Remember that as long as you’ve checked your mover or broker to be legitimate (FMCSA) and reputable , you shouldn’t worry too much about it as there are advantages and disadvantages when working with both moving companies and moving brokers. Knowing that you’ve done your homework right, it’s time to turn your attention to other important aspects of your home move.